I’m not sure what will be more galling for Arsenal fans, the fact their wait for a trophy goes on or that the defeat to Birmingham was so avoidable - yet predictable. Gunners fans were imploring Arsene Wenger to buy a commanding centre back to compliment (and for much of this season replace) Thomas Vermaelen as well as a reliable goalkeeper. 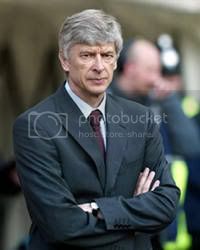 A defender didn’t arrive and in the end the Wenger refused to pay the £3million asked by Fulham for Mark Schwarzer, instead sticking with the error prone Almunia and Fabianski as well as the youthful Szczesny. To be fair to Szczesny he has performed well in recent weeks, in particular against Barcelona in the Champions League clash at the Emirates. But a young ‘keeper is always liable to make mistakes, especially with an inexperienced defence in front of him. And that cost Arsenal big time in the 89th minute at Wembley on Sunday. Fans following the goalwire livescore would have been gutted. As the pundits said after the game Laurent Koscielny should have put his foot through the ball when it was flicked on by Nikola Zigic, but a lack of a communication between defender and ‘keeper resulted in a horrendous error that gifted Obafemi Martins the winner and will take a while to both forget and recover from. Not that they have long to recover – Leyton Orient await in the FA Cup on Wednesday, Sunderland in the league on Saturday before a trip to the Nou Camp the following Tuesday. There are some crucial goalwire latest scores to be followed in the coming weeks. 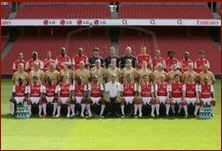 The season may yet bring reward given the opportunities still on offer from now until May but the familiar weaknesses in this Arsenal side – constantly prevalent throughout the six years of their trophy drought – were brutally and humiliating exposed at Wembley on Sunday. That will only turn the heat up on Wenger, the man who could have done something about it but doggedly chose not to. I bet you wish you had the choice to decide Arsene. Are more fixtures for Arsenal a good thing? Following Arsenal's failure to finish off Leyton Orient in the FA Cup yesterday, the general consensus from the English media has been that Arsenal have seriously dented their title chances due to a severe fixture pile-up. However, although some members of the Arsenal team, such as Samir Nasri and Cesc Fabregas, may not need any additional fixtures to reach top form this season, many other Gunners are in dire need of sustained game time. The fixture against Orient was a shining example of the likes of Andrey Arshavin performing at a far higher level than that displayed in recent games, with the player starting to regain his composure on the ball after experiencing relatively more match time. With the likes of Denilson and Gibbs proving in the game against Orient that they really do need some more games if they are going to be able to have any effect whatsoever on Arsenal's challenge on four fronts, it seems clear that the advantages of yesterday's draw don't necessarily find themselves drowned out by the downsides. The Champions League betting certainly suggests they face a tough time in that competition. Although Gibbs and Denilson may not be first choice, or even in some cases second choice, squad strength is simply key to all great teams ending the season with multiple trophies, something that the current Barcelona side and the historic Manchester United treble-winning squad prove all too well. However, should Wenger fail to give these players the amount of time required by refusing to rotate his squad in a way that keeps his players both strong and fresh, he'll find out all too quickly just how thin the Gooners' patience is wearing. The Arsenal betting suggests they should win a trophy this season, and failing to do so would be a huge blow. If, however, Wenger is successful, and the players in question show that they are more than capable of stepping up to the plate when it counts, then the extra games that Arsenal are playing can only be seen as a great chance for the team to step up and enjoy their unique brand of football. Last season Arsenal were soundly beaten by Barcelona in the Champions League, but its stars reckon they can get their revenge this time around. The Gunners are set to welcome the Catalan giants to the Emirates on Wednesday night and last season's quarter-final defeat will be sitting heavy on their mind. That time around Arsenal came back from two goals down to get a 2-2 draw in North London before a Lionel Messi-inspired Barca trounced them at the Nou Camp 4-1 to go through. Anyone looking to bet on Champions League games may want to bear these results in mind. Cesc Fabregas, who for most of summer looked like he would be wearing a Barcelona shirt this campaign, has stated he thinks Arsenal can overcome the Spaniards and continue their Champions League dream if they "play without fear". He claims Arsenal showed Barcelona too much respect in the last games between the two sides and things need to be different this time around, even if the Champions League best odds suggest it will be a tough game. There is no doubting the quality the opposition has and they are even better than they were 12 months ago with the addition of David Villa during the summer. Fabregas' team mate Nicklas Bendtner is another Gunners star who thinks it will be a different result this time around as Arsenal can "beat anyone" if they play to their best. "We know they are magnificent, an unbelievable team, but we have great players as well - and the way we play is very similar to them," added the striker. "We pass the ball like them so we must have a chance." Arsenal seem confident of being able to match Barcelona and a lot could depend on if Samir Nasri is declared fir for the Champions League last 16 clash. The Frenchman has been the best player in a red and white shirt this season, but he has been out with a hamstring injury for two weeks. They could need Nasri on the pitch if they want to get a result at the Emirates on Wednesday. As Arsenal enter the final third of the season, the find themselves exactly where their supporters would have wanted them to be: still fighting for silverware in every competition they have entered. Currently sitting just behind the leaders in the Premier League, they are also staring down the barrel of a potentially tricky tie away at Leyton Orient in the FA Cup as well as an even visit from Barcelona in the Champions League – and that's before we even mention their Carling Cup final against Birmingham later on this month. It would appear that Arsene Wenger's squad will be kept very busy indeed over the next few weeks and betting football fans will be watching closely. But the Frenchman would clearly not have it any other way – after all, when you have been criticised as heavily as he has for going over five years without securing a major trophy, it must be remembered that Arsenal are still competing on four fronts at this stage of the season. Despite clearly playing the most aesthetically pleasing football in England – if not Europe – Wenger's sides over the years have been criticised for their quest for perfect football, especially when it appears to come at the cost of the ancient art of winning ugly. They don't look like good Champions League betting tips right now, so they may need to change their style if they are to go all the way. Whether the Emirates' faithful would sacrifice their unique brand of football for the reward of more regular trophies is a subject for great debate; after all, if a job's worth doing, surely it's worth doing properly? But on the other hand, if you're not winning, are you really the best football team in the country? This season however, the fans seem to be getting the best of both worlds – beautiful football played by a mix of young and old, foreign and home-grown – and all the time leaving opponents in their wake. If Arsenal go on to beat Birmingham at Wembley on the 27th February, then one can only imagine that an enormous weight will be lifted from their shoulders – beauty and bite can be combined to win trophies – but there's little doubt that on just this occasion and after such a long wait, they'd take for a win in any form. If you haven't now heard the name of Christian Eriksen, you either weren't watching England's friendly game against Denmark or you haven't seen the papers. The likelihood is, though, that Eriksen is a name that, if you have even a passing interest in football, you'll be hearing again and again over the next few years. Eriksen is something of a talent over at Ajax, where the teenager currently plies his trade, and last night he lived up to his billing as a youngster highly desired by some of the top Premier League clubs. Showing a frightening turn of pace and a level of comfort on the ball that belies his true age, Eriksen deserves all the plaudits being sent his way. However, spare a thought for Jack Wilshere. The game was hyped up as the biggest chance yet for the Arsenal youngster to prove his talent and he did just that, despite a feeling in today's press that he failed to live up to lofty expectations. His role in the game was one that was bound not to attract as many gasps as the position occupied by Eriksen, and for that reason Wilshere should be praised for keeping his attacking instincts under wrap for the good of the team. The Betfair Specialists were certainly impressed. Bear in mind that Wilshere has become an established member of the Arsenal first team this year to such an extent that he was withdrawn at half time last night and you can see why his development really is worthy of as much praise as that of Eriksen. The Wolves betting certainly suggests he'll tear the side apart on Saturday. Wilshere can drive his side forward and his first full cap is surely only the first of many, many more for a man who needs to stop being patronised by those in the press more familiar with picking up a pen than kicking a ball. With the class of 2010 ruthlessly chewed up and spat out by the media; labelled spoilt over-paid, over-rated wasters, the press hordes have moved onto their next target. That person is Jack Wilshere, a young player of extreme talent yes, but one who is already been placed on a pedestal he is not yet qualified to fill. Fabio Capello was warm in his praise of the youngster in a pre-game press conference, comparing his nurturing of the 19-year-old to his time at Milan, where he managed young players like Franco Baresi and Paolo Maldini – who went on to become household names worldwide. But he was always going to say that wasn't he? The lad is set to start tonight against Denmark for the first time in an England shirt, so what else was Capello meant to say? He wants him to take to the field confident in the knowledge his manager is behind him so he can have an impact on the live match score. But no, the press take Capello's comments as licence to run wild and write all manner of over-hyped articles. Sod Paul Gascoigne and Wayne Rooney, Wilshere is now the greatest English talent to wear the three lions, one journalist even compared Wilshere to Bobby Moore! Now I know the scribes have deadlines to meet and pages to fill, and somehow trying to justify the importance of this ill-timed friendly is also a concern. But the over-hyping of Wilshere shows that they haven't their lesson from the World Cup either, namely the over-hyping of the players and whipping up a national frenzy to such an extent unrealistic and over-bearing expectations are placed on the squad's shoulders. Everyone following the football live scores wants them to do well, but they aren't world beaters. We can only hope Wilshere can keep his feet on the ground and England fans, myself included, keep their expectations in check, something we have failed to do in since we won the you-know-what in 19-you-know-when. Arsenal were involved in one of the greatest games ever in the Premier League at the weekend – but that will be of no comfort for Arsene Wenger and his side after they threw away a 4 goal lead against Newcastle. Having been 4-0 up inside the first half, Alan Pardew’s side showed spirit to make a sensational comeback, with a little help from referee Phil Dowd. Dowd was involved in more than a few controversial moments on which the game hinged; most of which he got wrong. The Staffordshire official went relatively unnoticed as Arsenal cruised ahead after just a minute as Theo Walcott fired home. A third minute strike from Johan Djourou before a Robin Van Perise double looked to have out the game away for Arsenal after just 26 minutes. Newcastle fans jeered and some walked out hurling insults at their side; little did they know of what was to come. The first incident came after a strong tackle from Joey Barton sparked a reaction from Abou Diaby. The Frenchman’s reaction was admittedly excessive but the tackle from Barton was just the same and deserved at least a yellow card. Diaby’s second shove on Kevin Nolan proved to be the final nail in his coffin as he was ordered off the pitch. The red card proved to be the turning point of the game as Newcastle grew in confidence. They were gifted a lifeline when Dowd then awarded a penalty to the home side after Laurent Koscielny bought down Leon Best clumsily. Although a penalty was the right decision, ugly scenes ensued when Nolan was involved again, attempting to wrestle the ball off Wojciech Szczesny, who had gone to retrieve the ball from the net. If the sending off of Diaby was correct then Nolan should have suffered the same fate after laying his hands aggressively on the Polish shot-stopper. In a game which will rightly remembered for all that is good about the Premier League, the inconsistency Dowd showed will leave a bitter taste in the mouth. To add insult to injury, the award of a second penalty was a terrible decision. Koscielny was involved again, this time challenging Mike Williamson for an aerial ball, and while the contact was limited Dowd and his assistant referee saw fit to award Newcastle a second penalty, which Barton tucked away again. The game was spectacular, of that there is no doubt. But it was only allowed to be through referring inconsistencies. Newcastle’s comeback should have been shackled and wouldn’t have been able to build a head of steam if a series of decisions didn’t go their way. Arsenal have themselves to blame as well; Dowd may well have enabled Newcastle to get a foot in the door but the lapse in concentration displayed from the entire Arsenal side flung the door open and invited a rampant Newcastle side in. Having done so well to silence the notoriously boisterous Newcastle supporters, the way in which they were allowed to build up a head of steam by an Arsenal side looking to close the gap at the top of the Premier League was criminal. In a week where refereeing has been at the forefront of the Arsenal agenda, Dowd will have done little to endear himself to Wenger and the Arsenal faithful. 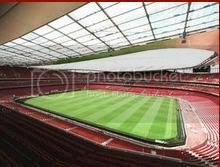 The game will be remembered long after the season is over, but if, come the end of the season, Arsenal were to miss out narrowly on the Premier League title, Mr Dowd may find himself on the receiving end of a few harsh words. Elsewhere, it might be a good time to check out Scratch Cards Online. Let’s face it, if Newcastle can come back from 4-0 down against Arsenal – anything can happen! It could be your lucky day! Teams are dropping like flies out of the Premier League title race and it could be a two-horse battle for the trophy, according to one Arsenal star. French defender Laurent Koscielny is currently in his first season with the Gunners and is hoping to win the big prize in English football during his debut campaign. Manchester United are topping the Premier League and are unbeaten despite failing to hit top form consistently throughout the season so far – which has to be worrying for their title rivals. Arsenal are looking the closest challenges at this point in time, though they are three points back themselves, after Manchester City dropped points against Birmingham and Chelsea have ground to claw back after their poor recent run. The Premier League has looked as open as ever in recent years, with even United going close to defeat on a few occasions. But whereas their rivals are losing games, Sir Alex Ferguson's men are capable of clawing victory from the jaws of defeat anyone looking at the weekend Premier League betting should remember this. Koscielny claims it will be a "big battle" between United and Arsenal over the rest of the season and "anything can happen" in the title race. The defender stated: "It looks like we are the last challengers to United. We have got more points than Manchester City, Chelsea and the others. "We need to focus on our game, keep winning, keep picking up points and maybe United will lose games at some point." The Premier League betting offers make Manchester United firm favourites, but Arsenal haven't given up hope. While Koscielny thinks it is a two-horse battle other seem to think there are still more teams involved. Wayne Rooney himself has said he still counts Chelsea as real Premier League title race challengers – especially considering their £50 million capture of Fernando Torres. Arsene Wenger has called in to doubt the validity of title rivals Chelsea’s deadline day transfers. The West London club sparked a late flurry of activity in the January transfer window meant Liverpool’s Fernando Torres and Benfica’s David Luiz will wear Chelsea football shirts for a combined total of around £75 million, just days after announcing a £70.1 million loss for 2010. Now the Arsenal boss feels Chelsea have contravened UEFA’s soon to be imposed financial fair-play rules after owner Roman Abramovich publicly backed them. “Chelsea supported Uefa's financial fair-play proposals but in the morning they announced a £70m loss and in the afternoon they buy £75m worth of players. Where's the logic in that?” Wenger said after his sides 2-1 victory over Everton. “It's hard to guess. Officially they vote for financial fair play but they can explain why they have done this much better than I can.” He added. UEFA’s President Michel Platini hopes the Financial Fair-Play directive will help reign in spending and stop clubs going into administration by bringing spending into line with profits. From the 2012 season, teams such as Manchester City and Chelsea will have to demonstrate they can balance their books properly - or face sanctions. In October Manchester City announced losses of £121 million thanks to their exploits in the transfer market, but have pledged they will not fall foul of the directive once it comes into action. Chelsea owner Roman Abramovich has signalled his intent with the signings of Torres and Luiz, after being reluctant to open his cheque book in previous seasons and Wenger believes his spending spree will continue. “Abramovich was a bit in no man's land where nobody could guess if he wanted to still invest or not. He has been like that for a long time but that has changed. He has decided to put big money in again and that tells you in the summer more will come. He is back to full investment.” He said. Chelsea sparked their title challenge back into life last night with a 4-2 victory over Sunderland – the team that inflicted a damaging 3-1 win over Ancelotti’s side earlier in the season. Their next game is against Liverpool, which sets up the intriguing prospect of new signing Torres’s first game coming against his old side.